Finding Nemo is a 2003 American computer-animated comedy-drama adventure film produced by Pixar Animation Studios and released by Walt Disney Pictures. Written and directed by Andrew Stanton with co-direction by Lee Unkrich, the film stars the voices of Albert Brooks, Ellen DeGeneres, Alexander Gould, and Willem Dafoe. 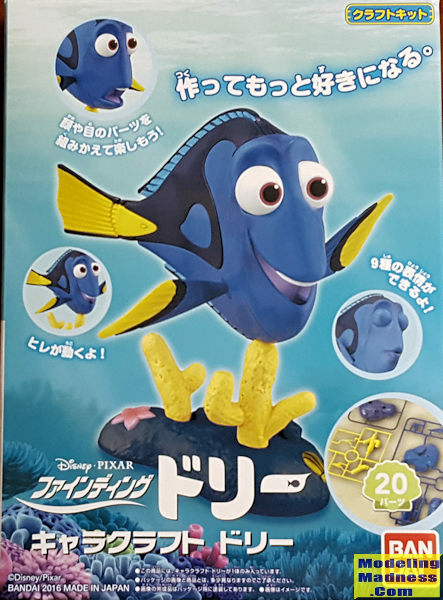 It tells the story of the overprotective Ocellaris clownfish named Marlin who, along with a regal blue tang named Dory, searches for his abducted son Nemo all the way to Sydney Harbour. Along the way, Marlin learns to take risks and comes to terms with Nemo taking care of himself. Finding Nemo was released on May 30, 2003, and has received universal critical acclaim since then. The film won the Academy Award for Best Animated Feature, and was nominated in three more categories, including Best Original Screenplay. Finding Nemo became the highest-grossing animated film at the time and was the second highest-grossing film of 2003, earning a total of $871 million worldwide by the end of its initial theatrical run. The film is the best-selling DVD title of all time, with over 40 million copies sold as of 2006, and was the highest-grossing G-rated film of all time before Pixar's own Toy Story 3 overtook it. The film was re-released in 3D in 2012. In 2008, the American Film Institute named it the 10th greatest animated film ever made as part of their 10 Top 10 lists. A sequel, Finding Dory, was released on June 17, 2016 in the United States. Couple of interesting bits. So popular was the film that the clownfish has all but disappeared from several tropical reefs so much was the demand by hobbyists. The sequel has so far reached levels of success that are nearly that of the original movie. While hobby shop surfing, I ran across this kit sold by a dealer in Japan. 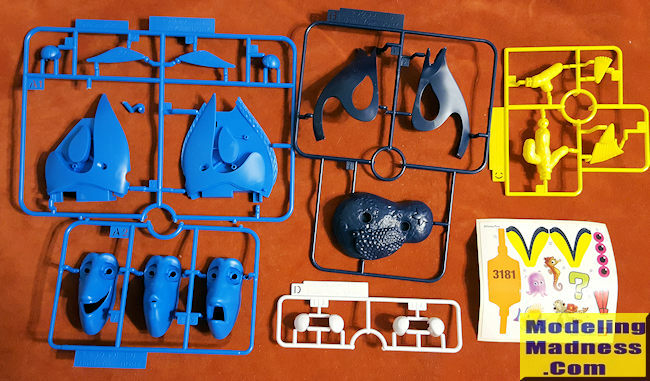 It is pretty much a snap kit and is molded in the appropriate colors so that beginning modelers will be able to build a credible model without any additional tools. The rest of us will paint and detail it. The kit comes complete with a base which represents a section of reef and coral that holds the model in place. We are provided with three different faces, each with a different expression. I would assume that these may well be interchangeable. In addition, there are two sets of eyes, each a bit different. Instructions are in Japanese and provide full color assembly sequences. Those not painting this one will have it together in probably a half hour. No decals with this one, but a sticker sheet instead. Most of the stickers are used to decorate the base, but some are required for the body. No scale is provided (no pun intended), but it looks like it may be a bit bigger than life. OK, so mark this down as your editor's slip off into another universe for a bit, but you have to admit that it is an interesting subject for a kit. The clownfish is also offered so you can do a pair if so desired.